A couple of years ago the Laura Ingalls Wilder Museum in Walnut Grove, Minnesota purchased the former Masters Hotel right across the street. 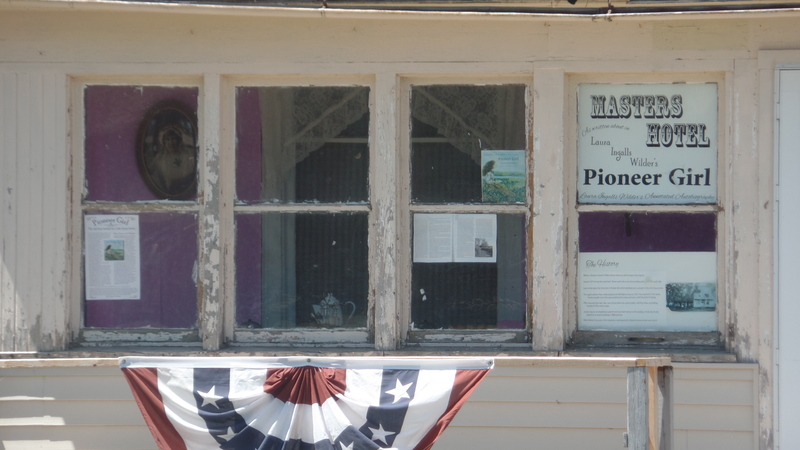 This was the original masters Hotel that Laura talks about in Pioneer Girl before they move to Burr Oak, Iowa. It was purchased with the idea of restoring it, but once money was raised and the process begun it was determined the building was too far gone. They tore it down and decided to focus attention on the Master Store/Meeting Hall Building next door which it is believed Pa helped build. Some people spend their lives chasing fame, while others never have a clue that they will someday have a claim to fame. That was certainly true for Eleck Nelson, an early settler in the Walnut Grove area. Eleck Nelson was born on September 29, 1846 in Gran Kommune (Parish), Oppland fylke, Norway. This coming Saturday would have been his 172 birthday. He died on July 15, 1931, and he was the oldest resident as far as the number of years living in Walnut Grove. 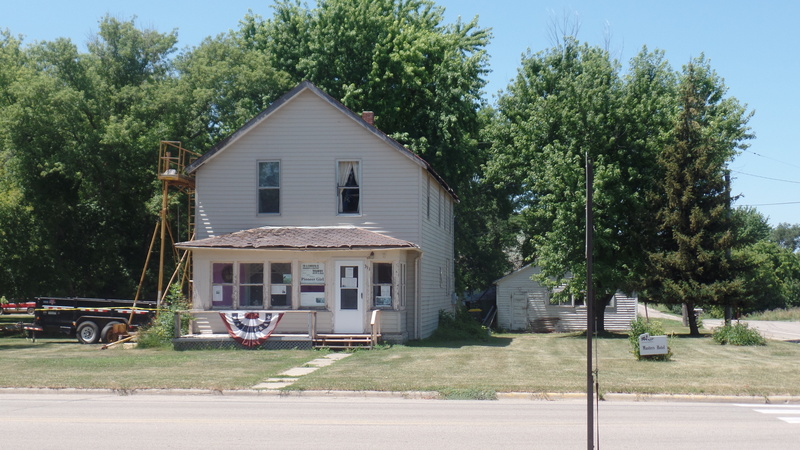 Eleck came to Redwood County in the 1870s, and according to information found on Ancestry.com,did not file for the patent on his homestead until 1881, because his intent to become a citizen was not filed until then. In 1871, he married Olena. The family settled in North Hero Township, where at least several of their children were born. Their seven children were: Annie (the Anna Laura Ingalls Wilder mentioned) who was born in 1872 and died in 1890, Mary, Fred, Albert, Samuel, Julia and Hjelmer. Little did he know in 1874, when he stepped in to help new neighbors, Charles and Caroline Ingalls, that he, Olena and Annie would go down in history and would forever be famous in a book and a television series. Eleck Nelson seems to have been a colorful character. According to family notes on Ancestry,com, he sold the farm in 1892 and purchased 80 acres just north of the Walnut Grove town site. He held many positions in the next several years. He owned a butcher shop, and, it is believed, employed his friend Charles Ingalls, who had returned to Walnut Grove following their time in Burr Oak, Iowa. He also opened a saloon, worked as a stock buyer and dealer, was a supervisor for North Hero Township, was a rural mail carrier, served on the Walnut Grove village board for ten years and served as the mayor for four years. A big story is told that one night Eleck got extremely drunk. The city constable was going to shut down Nelson’s saloon and take Eleck to jail. But someone had warned Olena, so she came into town with the horse and wagon, got Eleck into the back of the wagon because he was too drunk to sit on the seat up front, and she took him home before the constable could get to the saloon. Olena died in 1921, and was buried close to daughter Annie on the eastern edge of the North Hero Township Cemetery. Sometime after Olena died, Eleck began to keep company with a “woman of ill repute” from Tracy. Things got so bad, that the village actually passed laws that mainly pertained to her and her presence in town. Finally, the sheriff was able to “run her out of town on a rail” and she apparently never came back. Eleck Nelson died in 1931 and was buried beside his wife and daughter in the North Hero Township cemetery. Six years after his death, he was made famous when his old neighbor’s daughter, Laura Ingalls Wilder, immortalized some of his family in her book about their years in the Walnut Grove Area, On the Banks of Plum Creek. Eleck didn’t seek fame, and certainly didn’t expect to be made famous. His tombstone tells the story of a simple man, an immigrant, a pioneer, a farmer, a husband and a father. A simple man to the end.